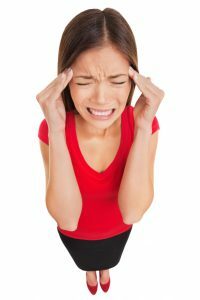 It drives me bonkers when I hear someone say that they experience ‘normal’ headaches. I mean, think about it, there is nothing normal about a headache. A symptom, any symptom, is there to tell us that something is wrong. Here is a list of 10 things that are known to trigger headaches. Spoiler alert: none of them are normal! 1 – Water – Are You Dehydrated? In order for the body to function properly, the correct balance of fluid and electrolytes are needed. This can be easier said than done, considering 75% of North Americans are chronically dehydrated. A telltale sign of dehydration is a headache. When the body is dehydrated, the brain can temporarily contract from fluid loss. This makes sense when you consider that they bring is made up of over 70% water. Contraction causes the brain to pull away from the skull, resulting in a dehydration headache. Once rehydrated, the brain plumps up and returns to its normal state, relieving the headache. SO DRINK UP! 2 – Consult a Chiropractor – Are You Subluxated? Have you ever had your spine checked for misalignments? Misalignments in your spine cause headaches and migraines. Researchers have recently discovered a small neck muscle that connects to brain membranes. According to the researchers, when the neck is out of alignment, the muscle can actually pull on the brain causing aches and tension. A spinal adjustment will remove the nerve pressure and spinal distortions relieving you of symptoms and working towards fixing the cause of your headaches and migraines. Scientists don’t know exactly what it is about caffeine that can cause a headache or migraine, but they do know that there is a clear connection. The big question is how much is too much? For healthy adults with no medical issues, it is generally agreed that 300-400 mg of caffeine or 3 – 4 cups of brewed coffee daily is a safe amount. Keep in mind that for some people, any amount of coffee is too much; the caffeine triggers a headache and keeps them away from a headache-free life. If you are drinking too much coffee, it’s important that you decrease your coffee consumption slowly. DO NOT STOP COFFEE COLD TURKEY! If you stop drinking coffee cold turkey, you will get a headache and it won’t be just an ordinary headache. It will be a monstrous headache! The best way to cut your coffee consumption is to decrease slowly by 1/2 cup a day. Eventually you could try to go completely caffeine free and see if it makes a difference with your headaches. 1. Monosodium glutamate (MSG) is a flavour enhancer, commonly added to Chinese food, canned vegetables, soups and processed meats. Because it is considered a “natural” food substance, MSG doesn’t necessarily appear on the food labels. Instead you’ll see: hydrolyzed vegetable protein, natural flavourings, sodium caseinate, hydrolyzed yeast, autolyzed yeast, hydrolyzed oat flour, calcium caseinate, hydrolyzed plant protein. 2. Aspartame (also sold as NutraSweet) is an artificial sweetener invented in a laboratory. Recent studies have linked aspartame to many different health issues including: headaches, weight gain, type 2 diabetes, cardiovascular disease, stroke, cancer and tumours. The “sugar-free” label really isn’t so sweet after all! If you’re truly serious about eliminating your headaches, try to avoid anything that contains aspartame or any other artificial sweetener for at least one week. 3. Tyramine is another commonly reported headache trigger. Experts believe that tyramine causes a release of norepinephrine in your brain. This combined with high levels of tyramine in your system can result in a headache. Tyramine occurs naturally in aged and fermented foods such as: aged cheeses, red wine, smoked fish, cured meats, and some types of beer. Generally the longer the food ages, the greater the tyramine content. 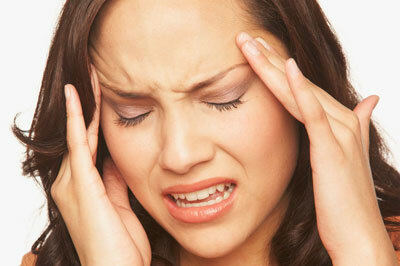 Low blood sugar can also cause headaches and migraines. Your blood sugar is the amount of glucose that is circulating in your bloodstream to provide immediate energy or to be stored for future use. It is best for our health to keep blood sugar balanced and stable throughout the day. For some people it may mean eating small amounts throughout the day and for others it may mean doing a Ketogenic diet—using fats as fuel and not so much glucose. Everyone is unique and has unique needs, therefore, different diets/approaches are required to keep blood sugar leveled. 6 – Food Sensitivities – Do You Have Any? Food allergies and sensitivities can trigger headaches. Food allergies or IgE (immunoglobulin E) reactions are immediate and can be life-threatening. Because these reactions occur immediately following food consumption, observing reactions to foods can identify allergies. Food sensitivities are delayed reactions to specific foods that are triggered by IgG (immunoglobulin G) antibodies. IgG reactions can take hours or even days to develop which makes it very difficult to determine the foods that are causing the reactions.I recommend that my patients who suffer from headaches be tested for Food Sensitivities. It’s the easiest way to determine which foods may be causing problems. Toxins and chemicals can enter your cells and trigger headaches. Processed foods, conventionally farmed produce and meats, damaged fats like vegetable oils, drugs and alcohol and conventional cleaning and personal care products can contribute to your toxic load and cause headaches. Try to make the switch to natural or organic, cutting out whatever conventional products you can. This will significantly reduce your toxic burden and can help diminish your headaches. 8 – Digestion – Do You Eliminate Efficiently? For a minute, think back to a time when you were constipated. How did you feel? Not so great – right? In general, you should have one to two bowel movements per day. If you don’t, you are definitely constipated! What happens in the body when you are constipated is not pretty! All that waste matter collects and rots in your intestines. Forgive me for being so graphic, but I really want to make sure that you understand this. There is a process in the cells of the body called diffusion that works like this: higher concentrations of particles will naturally flow to areas of lower concentration. When you are constipated, the high concentration of waste in your colon starts “flowing” to and polluting the other organs in your abdomen. When you stop carrying around so much waste in your colon, you will definitely start feeling better and this may help reduce your headaches. Sleeping on your stomach or with your pillow bunched up is a sure way to wake up with a headache or a migraine. When your neck is not adequately supported as you sleep, it causes pressure on your nerves, blood vessels, and vertebrae in your cervical (upper) spine. That pressure sends a message to your brain that there’s a problem that needs to be addressed, and a pain signal is sent to your head. Presto! You have a headache and your neck hurts too. The solution is to sleep on your back or on your side with a pillow that supports your neck fully. Your pillow should be firm but comfortable and should support the normal curvature of your spine. I always recommend that my patients bring their pillow into our office so that I can see if it is contributing to their headaches. For example, a pillow that is too fluffy will exaggerate the natural curve in your neck while a pillow that is too flat won’t provide enough support for your neck. 10 – Decrease Stress – No, It’s Not a Cliché! Stress is a part of everyday life. Unfortunately, some stress not only triggers headaches but also put your health at risk. As discussed by Dr. Han Selyé, there are 2 types of stress: Eustress, which is positive stress (like digesting our foods) and Distress, which is negative stress (like crazy work deadlines). Whatever stress management techniques work for you, it’s important to keep negative stressors at bay! There you have it, 10 things that could be causing your headaches. Did anything stand out? Leave a comment below and be sure to share this blog with your friends and family!